How to Make a Staggering Income Flipping Pre-Foreclosures! No doubt about it – foreclosure properties are the wave of the present – and the future. The truth is, they’re not going anywhere any time soon. There are endless desperate sellers right in your own back yard who would LOVE to have you fix their problem by negotiating a pennies-on-the-dollar payoff with their banks – and don’t care one bit that you’ll make tens of thousands of dollars in the process. Why some short sale deals are no-brainer money-makers and some are a complete waste of your time – and how to tell the difference BEFORE you spend a bunch of time “negotiating” deals that should be left for dead. Why good systems are key to working multiple short sales at once – and why working multiple deals at once is more profitable and easier than doing one at a time. How to identify the right sellers, properties, and lenders to work with, so you can make a 6-figure income negotiating short sales this year! 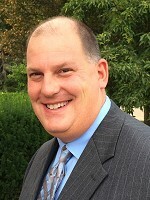 Shaun McCloskey is a full time real estate investor located in St. Louis, MO specializing in short sales and pre-foreclosure property acquisition. He has successfully bought and sold over 300 properties since 2003 and loves the every day thrills of the residential real estate business. Come learn about making short sales smart and simple at the Tampa REIA Meeting on Thursday, August 13th at 6PM at the Doubletree Suites Tampa Bay located at 3050 North Rocky Point Dr West in Tampa, FL. SPECIAL BONUS: Shaun also has a very special bonus for those who attend our meeting while supplies last. He will be giving away a copy of his Special Short Sale Wealth Report on “The TOP 9 Mistakes Investors Make Regarding Short Sales” so you can avoid making them or catching yourself when you do. Want to learn even more about short sales and pre-foreclosures? Checkout Shaun’s Full Day Pre-Foreclosure & Lifeonaire Workshop on Saturday, August 15th where he’ll show you how to have a profitable short sale business and a real life! Tangie Cousins, of Foreclosures Daily, will be discussing how to generate a list of pre-foreclosures and potential short sales and how to market to such a list. She will talk about how to get homeowners to open your mail, how to get the appointment when calling sellers, what to do while your at the property, how to get your phone to ring off the hook and more. This topic will tie in nicely as Shaun talks about the types of profits that can be made from flipping short sales and pre-foreclosures later in the evening and at the Saturday Workshop. 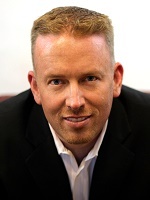 Shaun McCloskey is a seasoned real estate investor, author and coach based in St. Louis, MO. that has used real estate as an investment strategy and educational tool to change thousands of lives across the United States. 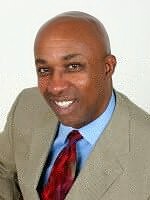 He is the author of several real estate investing courses and is widely known for his expertise in the fields of pre-foreclosure and short sales. Although by the world’s standards Shaun was considered to be a very successful entrepreneur, in 2007 he realized that he was working far too much and was consumed by his business. By implementing the LIFEonaire and debt free investing principles into his own life, this is now a thing of the past. Join us on Saturday, August 15th at 9AM at the DoubleTree Suites Tampa Bay at 3050 N Rocky Point Dr W in Tampa, FL to learn how to dominate your pre-foreclosure market from the master of pre-foreclosures, Shaun McCloskey! Shaun is teaching students why this is THE YEAR for pre-foreclosure real estate investing. The market is hot, hot, hot! Banks have an overabundance of inventory and Shaun and his students are cashing in big time! Here’s What You’ll Learn Saturday Morning at the Workshop! How to cash in on short sales without EVER having to negotiate! Heck, we’ll even show you how you’ll never need to even make one single phone call to a bank to negotiate huge discounts! Never Pay for Marketing Again: How to generate all the pre-foreclosure leads you’ll ever need -for the low, low cost of ZERO dollars! Pre-Foreclosure Deal Finding Strategies: Learn how to find and pursue ONLY the best of the best short sale leads in your area. Pursue the best, forget the rest. Unlimited FREE Leads; How to get more pre-foreclosure leads than you can handle, all begging you to take their house. Deal Evaluation Demystified: Learn the 6 strategies I use to quickly find (and pick) the lowest hanging fruit that equates to the biggest possible paychecks. Affective Negotiation Tactics that Work: Learn specifically how to structure your negotiations so that the banks are begging you to rob them of thousands of dollars worth of equity. Sell that House FAST! : Discover the brand new house selling strategy that virtually GUARANTEES you to sell any house in any market in 7 days or less! Business Management Mastery: How to set your real estate business so that it runs on AUTOPILOT, allowing you to put cash in your pocket without having to work 70 hours per week like most other real estate investors. Unlimited Deal Funding: How to access all the cash you’ll ever need to fund your real estate deals. AND THAT’S ALL BEFORE LUNCH!!! There’s More! By the way, all of what we’re sharing is what works TODAY! It’s not some fluff that was written by someone who’s never been in the business. This stuff works right now, right here in the Tampa Bay Area. I’m also going to be sharing how my student Jason Roberts made $3.7 MILLION dollars in his short sale business his very first year in with his short sale business, doing EXACTLY WHAT I’LL BE TEACHING YOU AT THIS EVENT! I’ll show you his exact recipe of how he did it – his exact marketing plan to get people to hand him the keys to their house, and how you can too. This Saturday workshop is designed to provide you with everything you need to get your short sale business up and running within 7 days, so come prepared to take lots of notes! Bring a sharpened pencil, and come prepared to get every question answered. Regardless of whatever you’ve heard about short sales in the past, we’re going to show you how to make this year the most profitable year of your entire life! PLEASE NOTE: The 2 for 1 Early Registration Special is for Tampa REIA Members and is limited to spouses, adult children and corporate partners. Non-Members who join Tampa REIA between August 1st – August 13th, 2015 can attend the workshop for FREE. Also, Tampa REIA Members who renew their membership for an additional year between August 1st – August 13th, 2015 can attend the workshop for FREE as well. When joining Tampa REIA or renewing your membership, please indicate that you want to attend the workshop at no charge. 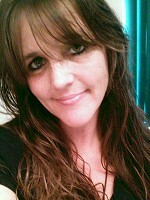 You can join Tampa REIA at http://membership.tampareia.com. On Saturday afternoon, we’re going to change gears a little bit. I’m going to show you some of the Lifeonaire strategies that have totally and completely changed my life forever! How (and when) to leave your job feeling 100% secure in your decision, knowing you can not fail. How to run your entire real estate business without ever borrowing a single dollar again. How to get unlimited access to money for your real estate deals without ever having to qualify at a bank. You do not want to miss this event! Be there!!! Click here to register. THIS EVENT WILL SELL OUT due to limited seating so register right now!!! 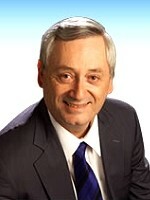 Our good friend Robyn Thompson of the Greater Orlando Real Estate Investors Association (GoREIA) asked me to invite you to GoREIA on Thursday, July 23rd from 6:30 to 9:00 PM at the Hilton Orlando/Altamonte Springs for their meeting with Ron LeGrand on “How to Make a Killing with Pretty Houses”! It’s a rare opportunity to spend the evening with a real estate investing legend and millionaire maker and the guy who started it all for myself, Robyn and thousands of others across Florida and around the country. “Why is it some people come into real estate and do very well, some netting seven figures their first year, and others put in the time but don’t get good results? No! It’s the same in every city! No! Been that way for my entire 33 years during the good economies and the bad! Is it the availability of money and credit? No! Those who make the most use neither! Then is it the training? Not really! The people who excel get the same training as those who don’t! It’s none of these but I do know what it is and I’m making it the subject of our evening together and that conversation will continue through Saturday at my all day seminar. This career killer is fixable but if it isn’t fixed you’ll never do better than making a living at real estate no matter how hard or long you work. There are people in every real estate group, including yours, with long careers in the house business who haven’t fixed it but seem to be doing well. They’re only making a living… and I know why! So will you, after Thursday night and it’s my objective to help you make more than a living. 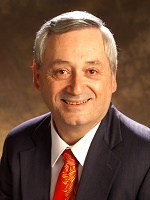 PLEASE NOTE: Tampa REIA Members and non-members who RSVP can attend the GoREIA meeting on July 23rd with Ron LeGrand for FREE. RSVP Now to Download your FREE Book & CD Now! Perhaps you’re sick and tired of waiting for the real estate market to bounce back in the traditional sense, but we’ve got to tell you, you needn’t wait any longer. The TRUTH is, real estate investing is hot, hot, hot, right now! You’ve just got to change your “traditional” mindset a little. That’s why you can’t afford to miss this one-day, all-day training event with Ron LeGrand on July 25th! As the world’s leading authority on quick turning real estate, his methods are cutting edge, forward thinking and stunningly creative. His priority remains figuring out “how to” successfully structure investing deals in any economy and at any time. He’s done just that. Once again, he’s taken an already proven technique and refined it so definitively, student partners recently closed two deals in two months netting them $250,000. Ron personally just closed a deal netting him a whopping $50,000 while never using one cent or his credit to do so. Come learn how you can work less and focus on the most important things and quit working so hard on all the rest. You’ll learn by thinking “out of the box” and against conventional wisdom, so you too can surpass your current income. 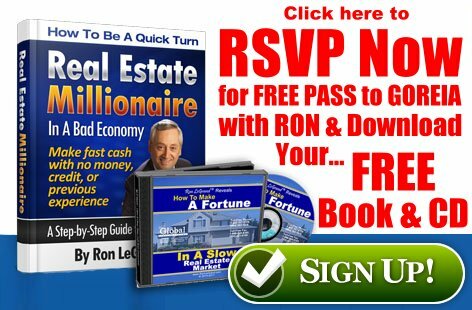 You’ll also receive Ron’s book titled, “How to be a Quick Turn Real Estate Entrepreneur in Any Economy,” and he’ll autograph it for you at the event. He’ll also be giving away $5,000 in cash and prizes. It’ll be lots of fun too! Come see Don on July 25th and 26th where he will spend two full days teaching you how easy it actually is to Find ‘Em, Fix ‘Em, and Flip ‘Em. You will spend two full days learning the art of flipping houses. Don will show you a Step-by-step process to evaluate, avoid rookie mistakes and build a highly profitable fix and flip business. 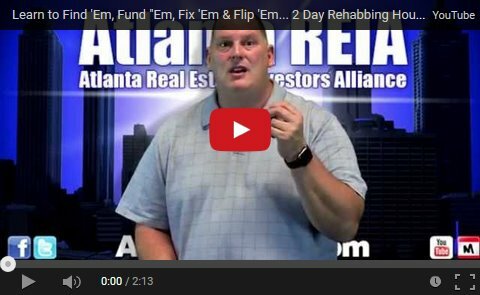 PLEASE NOTE: Tampa REIA Members can attend at Atlanta REIA Member prices. Location and schedule subject to change. Pricing is per person. No refunds 5 days prior to event. Register now before early registration expires to save $100 off tuition. Class is limited to 45 people. Download the July 2015 Edition of The Profit Newsletter Now! The July 2015 edition of The Profit Newsletter is now available for download as a High Quality PDF (print quality) or Low Res PDF for mobile devices. The Profit Newsletter is the official newsletter of the Tampa Real Estate Investors Alliance and is a digital, interactive newsletter for serious real estate investors delivered as an Adobe PDF file to read on your computer, tablet, or smart phone with a PDF reader. Many of the articles and ads in The Profit contain hyperlinks you can click to get more information online. The high res version of The Profit is “print ready”while the low res version july load faster on your mobile device. Also, be sure to Subscribe to The Profit so you don’t miss a single monthly issue. 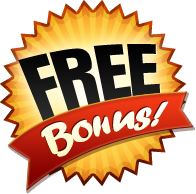 Free Money… No, Really! It’s True! Our Government makes hundreds of different programs available to distribute billions of dollars to us in the form of grants, low interest loans, and subsidies. The money is then appropriated by politicians who are smart enough to know that the best way to keep their jobs is by funneling Government money into the communities they serve. That’s where we can step up and reclaim our money. I say reclaim because it’s our money in the first place. The Government takes the money from us in the form of taxes, then gives it back to us in the form of grants, low interest loans, and subsidies. Here’s the kicker… The Government only gives the money back to the people who learn how to get it. You have to learn how to ask for it! If you can follow instructions on an application, the chances are pretty good that you can get a grant for something. The other day I was in the grocery store picking up some milk. In the checkout line, the checker asked the guy ahead of me if he had one of those loyalty cards. Well, this guy took out a shoebox full of those cards – a shoebox! –and started searching through them. It took forever! Okay, maybe I made that up. Actually, if anyone needs a shoebox for those cards, it’s probably me. And if I were to pull out that shoebox in the checkout line, I’ll bet no jury would convict the checkout lady if she shot me right then and there. Signage is an important tool for you to use in your real estate investing business. Using signage is another inexpensive way to draw motivated sellers and deals to you. Many real estate investors find that signage can produce more deals in a year than some of the other methods they use in their businesses. Once again, you need to test and track the results in your own business. There are several different types of signage you can use. Some are permanent, some are temporary. Some are very inexpensive and some will cost more. I will discuss several different types of signage I have used in my own business. Last month I taught you about two ways to make money in real estate. I covered retailing and wholesaling. Those two methods generally involve buying houses that are in need of repairs at a deeply discounted price. This month, I will teach you about the other two ways to profit in real estate that is considered to be the Pretty House Business.